Monday, April 15th, marked tax day in the United States. While citizens were busy completing their filings (and don’t expect it to be any cheaper/easier anytime soon), the tech policy world continues to move forward. 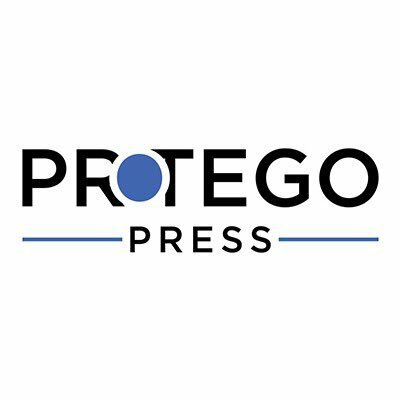 Be it Twitter’s struggle with newsworthy posts that violate its terms of service, FCC’s plans for 5G, hackers manipulating Tesla’s, the GAO funds its tech office, big tech backlash continues and Illinois attempts to regulate IoT recordings, there is a lot to cover in this week’s Protego Press Roundup. In Case You Missed It: Melissa Ryan writes about news that Twitter is exploring ways to add a disclaimer or other context around Tweets from world leaders that break their terms of service but the company has chosen to leave up because of their supposed newsworthiness in “Twitter’s Revised World Leader Policy Is Still Sanctioned Bullying.” The overall take: Newsworthiness isn’t a legitimate excuse for the continued enabling of harassment and extremism. 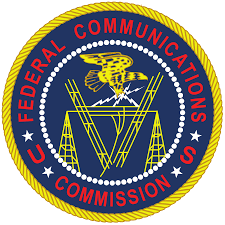 FCC Announces 5G Fast Plan: The Federal Communications Commission announced last week that it would hold the biggest spectrum auction in U.S. history on December 10, 2019, aimed at bolstering 5G network deployment. The bidding will see roughly 3,400 megahertz across three spectrum bands auctioned off for commercial use. Additionally, the FCC announced a $20 billion, 10 year plan to expand broadband access to rural areas currently without it, a decade long extension of an existing program. However, the plan was not universally received, as FCC Commissioner Jessica Rosenworcel, a Democrat, criticized the agency’s approach to 5G Friday, saying that “midband” spectrum that is better suited to serve rural areas because of how far it can carry signals, and that the Trump administration’s actions on 5G have “set us back.” She cited tariffs on telecom equipment that have raised costs and said the administration has been “alienating allies” on the 5G security issue. New GAO tech office starts to take shape: Zach Graves wrote an article back in February about how the Government Accountability Office (GAO) was forming a new office to aid Congress in understanding science and technology matters called “Science, Technology Assessment, and Analytics” (STAA). In good news, Congress appropriated $15 million for the new GAO office, which plans to double the size of its current science and technology workforce ” to significantly expand the level of support we can provide to Congress,” according to the GAO. Illinois attempts to address unauthorized IoT device recordings: A bill proposing the outlawing of unauthorized IoT audio recordings has been weakened following significant lobbying efforts from tech firms including Amazon and Google. The ‘Keep Internet Devices Safe Act’ was passed on 10 April 2019 by the Illinois state senate and entailed the banning of devices such as Amazon’s Echo from making recordings of the owner’s audio without explicit permission. However, after lobbying from the tech industry, the bill provides exclusive authority to the Attorney General to enforce the Act, which means regular citizens won’t be able to bring forward a case regarding tech giants recording them in their homes. This comes at the same time as Bloomberg reported how Amazon employs thousands of people around the world to listen to commands spoken to its line of Echo speakers in order to improve its Alexa digital assistant, sometimes even after users opt out of having their data used in the program. Sahil Chinoy collected public images of people working near Bryant Park (available mostly on employers’ websites) and ran one day of footage through Amazon’s commercial facial recognition. Chinese scientists have put human brain genes in monkeys—and yes, they may be smarter.